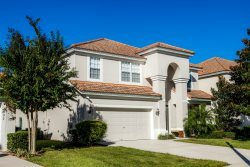 Welcome to Signature Villas Orlando, one of the leading property management and villa vacation rental companies in Central Florida. Our goal is to provide you, our guest with the best experience you�ve ever had, whether it be your first trip to Florida, or a repeat visit. With a number of villas to suit all your needs ranging from 3 bed homes to 6 bed homes all between 5-20 minutes from Disney. 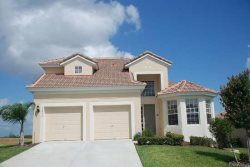 As you will notice the majority of our homes, located in Windsor Hills, Windsor Palms and the adjoining subdivisions are of Luxuary standards and are based around the 192 Kissimmee area, with a few homes around the highway 27 area. Check out some of Floridas best Beaches, Either on the west coast or on the east coast. Please contact us for places to stay on either coast. The above pictures are of the Delacado Resort at Treasure Island, West Coast. It is probably one of the nicest resorts I've stayed at, very relaxing. Interested in being a Florida Home owner? We will be more than happy to assist you with any questions you have. Currency converter � Textor Webmasters Ltd 1999-2009. All rates are indicative only. "Just wanted to write and tell you despite the weather we still had a wonderful time at your place. We will definately be back next yea..."
"You did a great job in 2010 and we are looking forward to 2011!!" "As a long term client of Signaturevillasorlando, I would love to share my experiences of this company. 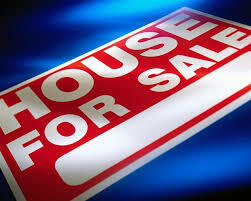 I have found them to be at all t..."
"The house on 16721 Rolling Green St Clearmont FL was fabulous. The decor was beautiful, clean, efficient. There was every kitchen ap..."
"DEAR KATRINA, JUST A SHORT NOTE TO SAY HOW PLEASED I AM WITH HOW THINGS ARE GOING WITH YOU AND STEVE. MY PREVIOUS MANAGEMENT CAUSE..."
"Just a note to say thanks again Steve, Fantastic house... again, fantastic location... again.We all had a fabulous time again, and we`l..."
"Hi steve . . . Friends absolutly DELIGHTED with the house. . . In fact they are GOBSMACKED !!!! and the birthday surprise went down a r..."
"Phillipa, I left a comment in your guest book that is more verbose, but we had a fantastic time last week. The kids LOVED the house..."
"I just thought I should text you and thank you and Darlene for getting us all booked into our Villas for our holiday next year. This is..."
"Hi Steve, Hope everything is fine. I would like to thank you again for your business. Once again we�ve had an outstanding vacatio..."
""......We stayed in this home March 11 to March 21. Upon entering we did a thorough check and found this home to be very clean. Situa..."